This is a commission I finished a couple of weeks ago. 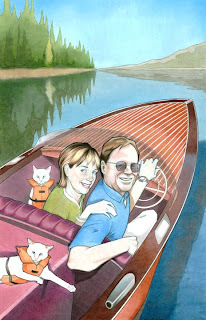 It was commissioned by someone as a 10th anniversary gift for two friends of hers. I would have posted it earlier, but I didn't want to risk the recipients seeing it before the gift was presented to them. They received it at a party last night and both loved it.